Donegal’s popular Harvey’s Point was recently announced as Ireland’s Hotel of the Year at the 2017 Georgina Campbell Awards. The popular Donegal four-star hotel, also Ireland’s No.1 on TripAdvisor won the prestigious award for its stunning location and accommodation facilities as well as its fine dining waterside restaurant. At the opposite end of the country, the Good Things @ Dillon’s Corner Restaurant in Skibbereen won the coveted “Restaurant of the Year” award. The much talked about “Chef of the Year” title was won by Sebastien Masi from Dublin Restaurant, Pearl Brasserie. 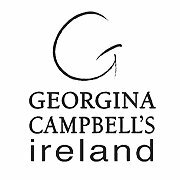 The longest running awards in Ireland, The Georgina Campbell Awards are widely recognised for the best in Irish hospitality and are widely used by many as the basis of where to stay and eat whilst taking a vacation in Ireland. In compiling this year’s prestigious awards, Campbell and her team kept “a sharp eye out for those exceptional establishments which are right on top of their game and going the extra mile for customers,” she said in Dublin. This entry was posted in Ireland, Ireland Restaurants, Ireland Travel, Ireland vacations, Ireland Vacations 2016, Irish Awards, Irish Events, Irish Hotels, Restaurants dublin, Restaurants ireland, vacation to Ireland and tagged 2017 Georgina Campbell Awards. Bookmark the permalink.